Choose from a wide range of state-of-the-art solutions! Security cameras and video surveillance systems work inside and outside your facilities to help manage risks, control access and monitor your property and operations. Depending on your budget and objectives, there are a number of highly advanced products and systems to choose from – including camera types, video storage solutions, image enhancement and audio event notification technology. We can help you design a scalable system that will easily grow with your needs. 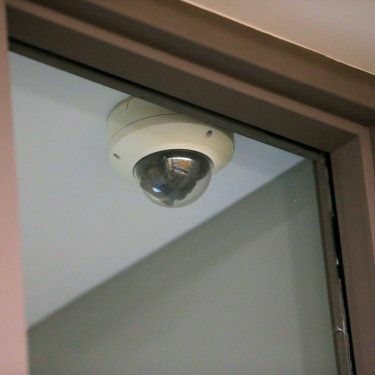 In addition to the obvious security applications, cameras can be used as training and forensic research tools for management or administrators. They are often used by schools and churches to stream athletic or religious events. Live camera footage can be invaluable in emergency situations, especially if it can be viewed remotely. Just ask! Our electronic security experts can help you select and integrate video solutions to improve the safety, security and productivity of your people, facilities and operations. Available for indoor or outdoor applications, these products can incorporate one or more cameras/imagers per housing. Multi-imager units recommended for covering large areas, such as parking lots. Four-imager units are very popular, with each imager delivering a different customized view of the area, enabling you to tailor the viewing angles and coverage to your specific needs. 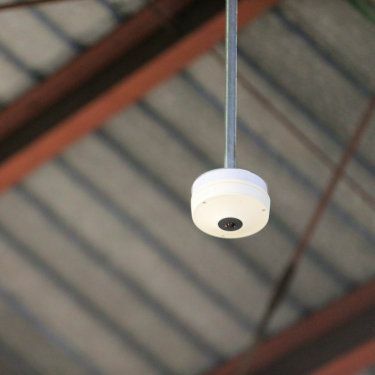 Suspended from the ceiling, these cameras are ideal for covering and recording entire large areas, such as school gyms, warehouses and church sanctuaries. Viewing options include de-warping live or recorded footage by digitally zooming in on specific areas. Mounted to a wall, ceiling, roof overhang or pole, bullet style cameras can be used to meet interior or exterior surveillance needs. Once installed these cameras can be adjusted to provide the proper view, and they offer superior long range views. These cameras are primarily used for temporary applications, such as monitoring a jobsite. Security cameras offer image quality which can range from 2 to 7 megapixels, with 4K solutions available for the highest picture quality, where images need to be crystal clear. Both fixed and variable lens cameras are available based on your specific needs and application. Crystal clear images in extreme low light conditions, such as nighttime views of parking lots or dark alleys. Clearer, more vivid facial images regardless of light conditions. thanks to cutting-edge, wide dynamic range technology. Overexposure control to improve the quality and usability of images, such as reducing the bright impact of car lights at night to make a license plate more readable. Minimized lens distortion, due to correction technology built into the camera. Improved digital image stabilization to reduce motion blur caused by wind or vibration. 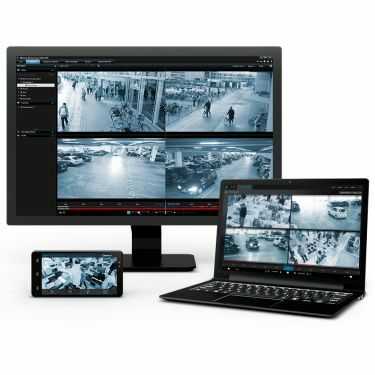 Advanced video analytics – including loitering and motion detection, people counting, queue management and more. Audio event detection – including explosions, gunshots, glass breakage and screams. 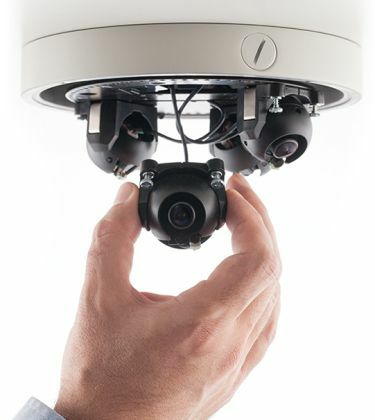 Most cameras offer vandal resistant features to prevent tampering. Some bullet style cameras are designed in explosion-proof housings. PoE (Power over Ethernet) cameras can be connected to your network, requiring no additional power. 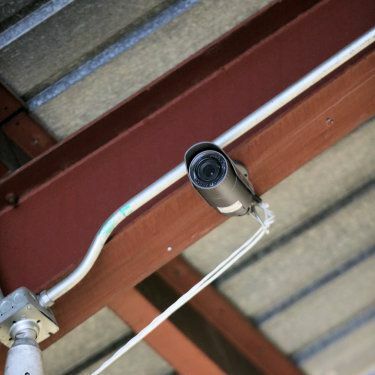 Separate wireless cameras with their own low-voltage power source can be connected to the network via a wireless Ethernet bridge to cover areas such as parking lots and playgrounds. Wired or wireless IP (Internet Protocol) cameras can connect to your network, but require a separate power source. NVRs work with a VMS (video management system) to store images on your existing server, a virtualized server (a designated section of your server) or a designated server which Walsh can build and provide for you. Virtual – in the form of a pre-configured virtual machine with all required software, from the operating system up, pre-installed and configured. Web-based options – via the Cloud. Hosted options - Hire service provider to host your camera server via the web. SD card slots are available in most cameras and support up to 512 GB of storage at the edge of the camera, preserving stored data in the event of an unstable network or storage connection. If your connection goes down, the cameras will record the images on the SD card. When the connection is restored, the footage recorded on the SD card will automatically download to the Network, device or Cloud. Many cameras today offer two SD cards for backup storage when needed. Network camera live footage and recordings can be viewed within your facility by employees and managers with customized privileges. Mobile apps enable you to remotely view live video and control the cameras’ pan, tilt and zoom functions, so you can enjoy flexible monitoring of your security cameras and recording devices.